He has returned to his family in an occupied territory. 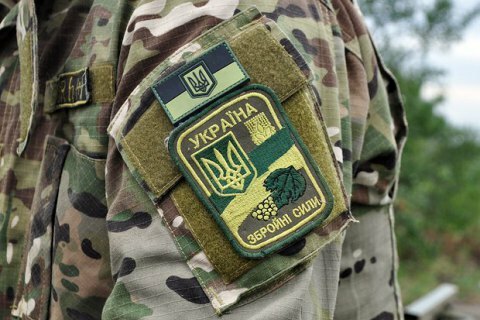 The Ukrainian Armed Forces are checking whether a serviceman who has returned to an occupied area of Donetsk Region has divulged any state secrets, the press service of the Ground Troops has said on Facebook. "We are currently sizing up the volume of information related to state secrets to which senior warrant officer Yuriy Aushev had access," it said. The Russian propaganda TV channel Rossiya 24 alleged that "the special services of the [self-proclaimed] Donetsk People's Republic gained access to thousands of confidential documents of the Ukrainian Armed Forces" after a former serviceman of the Donetsk regional military recruitment office had returned to his family residing in a temporarily occupied territory. The Ukrainian Armed Forces confirmed that the man had indeed returned to his family. Aushev worked for the Donetsk regional military recruitment office from 2004 to 26 December 2018 when he was discharged from the army.